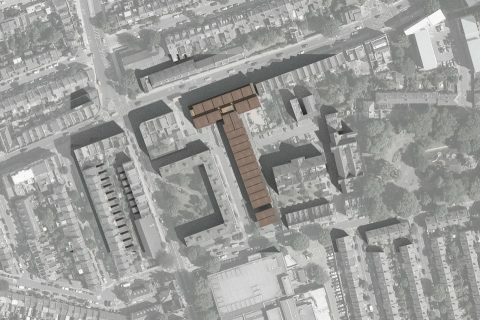 31/44 completed this feasibility study for a complex site in south west London for the Peabody Trust. 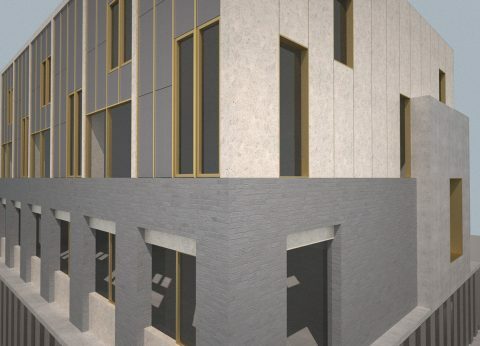 The proposal delivered a significant amount of commercial space including external sales areas and 70 apartments on the upper floors (a variety of one and two-bedroom apartments and three-bedroom maisonettes). 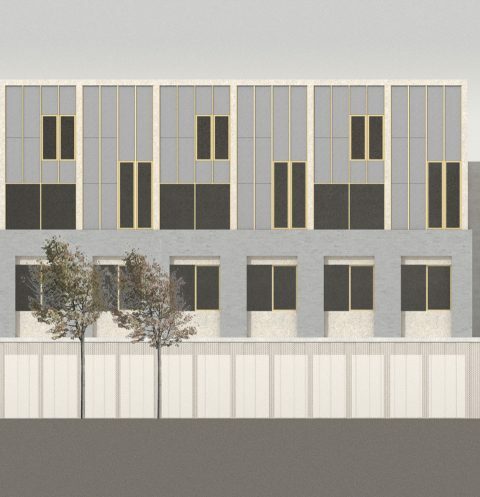 The design responds to difficult access conditions and the complex arrangement of neighbouring residents.